Stony Creek is a small tributary to the Schuylkill River, just upstream from the Norristown Water Treatment Plant operated by Pennsylvania American Water. Because of its location upstream from the plant, Stony Creek is a priority for protecting the source of drinking water provided by the plant. Stony Creek has been listed as “impaired” because of stormwater runoff pollution which carries nutrients, pesticides, grease and other engine fluids, bacteria, and chemicals into local streams and rivers. Eroding stream banks load sediment into waterways, decreasing stream depth while increasing flooding potential and clouding aquatic habitats. The increased heat and reduced visibility in these turbid waterways make it difficult for fish and other aquatic organisms to thrive. The Norristown Area High School and Whitehall Elementary School properties border a full mile of the Stony Creek stream bank. With few stormwater management practices in place, maintenance workers mowed grass in retention areas and along the stream bank edge not realizing that this left insufficient root systems and vegetation to filter and reduce stormwater runoff and protect against soil erosion. With some help from the Philadelphia Water Department, the Montgomery County Conservation District, and Pennsylvania American Water, the Norristown Area School District (NASD) sought to improve stormwater management on the campuses of these two schools. Together with the district maintenance staff, they identified several key areas for improvement. 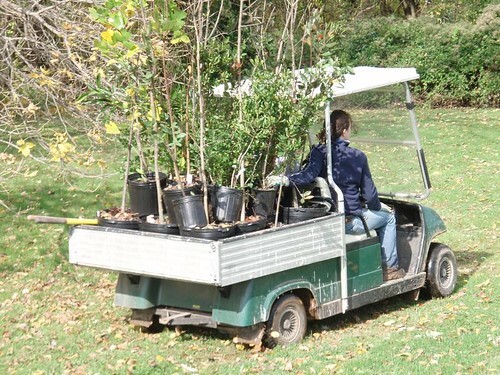 A riparian buffer restoration was held in the fall of 2006 when these partners hosted a Treevitalize Watersheds tree planting event. Volunteers from the Valley Forge Watershed Association, Pennsylvania Department of Environmental Protection, Pennsylvania Horticultural Society, Aqua America, Pennsylvania American Water, Boy Scout Troop 622, and staff and students from Norristown High School planted 160 trees and 53 small shrubs to beautify and restore the Stony Creek stream bank buffer. Phase Two of the project addressed retrofitting two existing retaining basins in 2007. Without adequate vegetative root structures in place, the mowed basins did little to reduce or filter the 10 acres of parking lot runoff into Stony Creek. 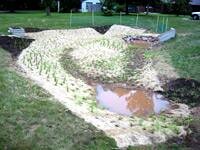 A contractor was hired to complete basin modifications and plantings. Outlet structures were raised to allow for increased stormwater retention, prolonging infiltration and evaporation potential. Plant materials were selected for both wet and dry weather tolerance, serving to further absorb and reduce stormwater flow. The school has placed signage explaining the importance of protecting water quality and showcasing the buffer as an example of watershed protection. 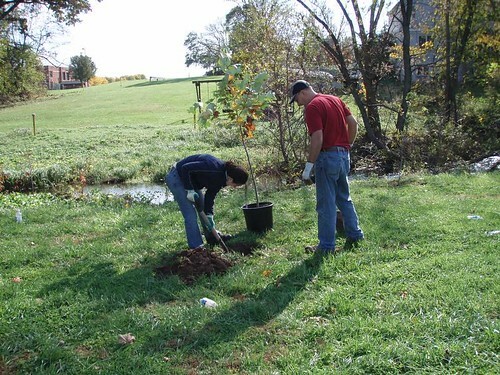 Science teachers have incorporated the riparian buffer as a learning tool in the environmental science curriculum. 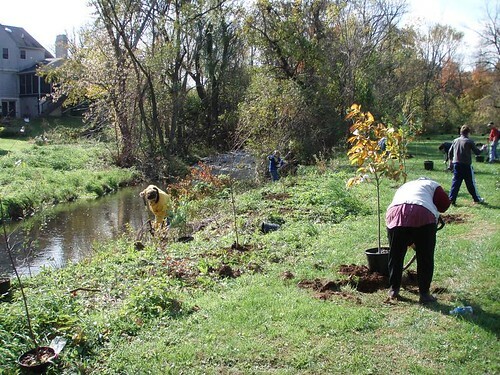 The NASD projects exemplify how stormwater Best Management Practices implemented on public lands can become valuable public education and outreach tools.